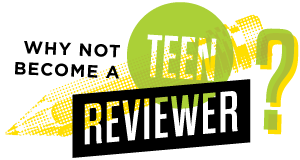 Written by TeenTix Newsroom Writer Spencer Klein, and edited by Teen Editor Joshua Fernandes! is talk about Boom Bap with all of you! if you wanna know, why read my review and see! When you walk into Atlas Theater in Fremont, WA, the jokes start before the show does. Above their cash register is a dollar bill hanging on the wall with the caption “The First Dollar That CSz Seattle Ever Framed.” CSz Seattle, of course, refers to the Pacific Northwest’s iteration of what is a national league of competitive improv referred to as “Comedy Sportz”. 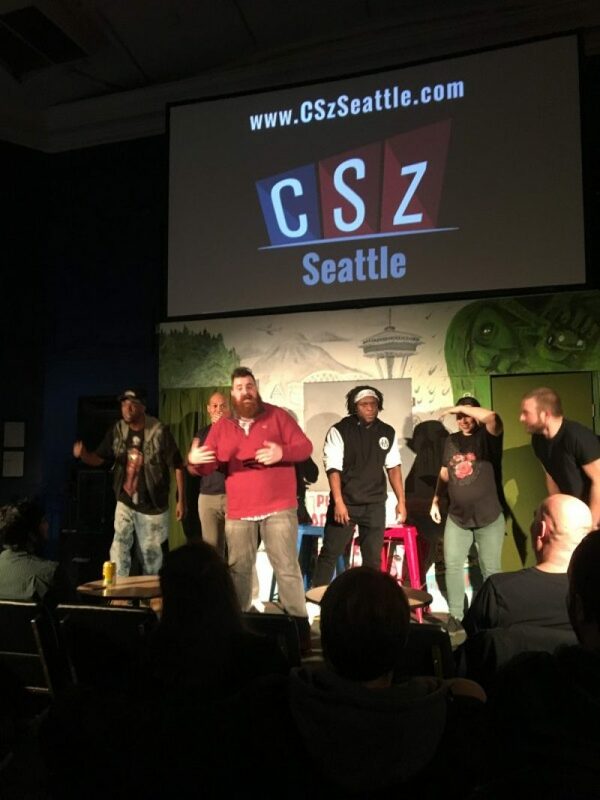 From what was once the back of a vintage clothing store, CSz Seattle has become a staple of accessible entertainment, touting a variety of innovative shows. Yes, their flagship show, Comedy Sportz, has never failed to induce side-splitting laughter, but Atlas Theater (CSz’s venue) is also host to some of the most ambitious and intimidating improv formats to date, one such example being Boom Bap. Taking place on the second Saturday of every month, Boom Bap is a quilt of both awkward and flawless execution draped over a mashup of all the best parts of Comedy Sportz with a candle of long-form improv for warmth. The first half of Boom Bap may feel familiar to previous Comedy Sportz viewers. There are two teams, competing against each other for ambiguous reasons. However, in Boom Bap, rap is integrated into every game. Imagine charades, but the person guessing has to freestyle the entire time their partners are giving clues. Additionally, they have to set up a rhyme for each guess, and if they can’t set it up in the allotted time, the guessing team switches. Other games included rap battles centered around a theme (Harry Potter was my personal favorite) and improvised verses about the life of an audience volunteer. The second half of Boom Bap may feel a little more foreign to Atlas Theater newcomers. The format “Armando Diaz” originated in Chicago and was coined by a man of the same name, centering around the creation of scenes from a monologue. The scenes can be directly or thematically related. We were treated to two monologues: one about foot massages from strangers and another about ventriloquism and its romantic implications. The rap element came from the sound booth, which at any time can drop a beat. Upon said dropping, the improvisers stopped whatever they’re doing and broke into freestyle about the current scene. These fast transitions made for certain laughs, as it’s impossible to stay straight-faced while two fifth graders going through a divorce have to stop the alimony proceedings and break into rap. CSz Seattle sets the bar high: their weekly shows are different every time and their audience-centric performances never disappoint. Boom Bap not only introduces audiences to a new kind of improv but expands upon the intensity and virtuosity already required for a Comedy Sportz match. Boom Bap is the second Saturday of every month at 10:00 pm. I wouldn’t miss this show in a major way. the theater’s located in your neighborhood. you should gather your friends all up to go. Newer: #SaveYourSeat at Returning the Bones!